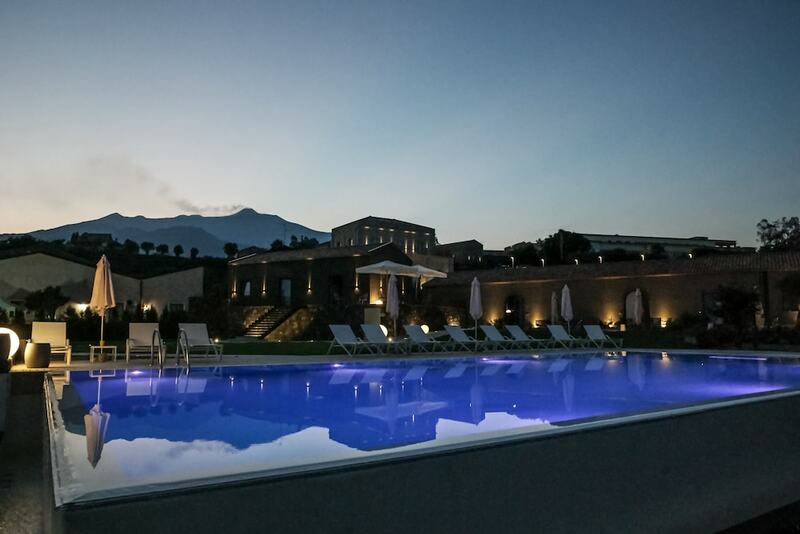 Located in Santa Venerina, Kepos Etna Relais & Spa is within a 15-minute drive of Mount Etna Park and Piazza Giuseppe Garibaldi. This spa guesthouse is 15.4 mi (24.7 km) from Giardini Naxos Beach and 17.4 mi (28 km) from Via Etna. Make yourself at home in one of the 15 air-conditioned rooms featuring minibars and flat-screen televisions. Complimentary wireless Internet access keeps you connected, and satellite programming is available for your entertainment. Private bathrooms with showers feature complimentary toiletries and bidets. Conveniences include desks, and housekeeping is provided daily. Relax at the full-service spa, where you can enjoy massages, body treatments, and facials. Additional features at this guesthouse include complimentary wireless Internet access, a television in a common area, and tour/ticket assistance. Getting to the surf and sand is a breeze with the beach shuttle (surcharge). Satisfy your appetite with Italian cuisine at nero di cenere, a restaurant which features a bar and a garden view. Dining is also available at the coffee shop/café. Quench your thirst with your favorite drink at the poolside bar. Buffet breakfasts are available daily from 7:30 AM to 10:30 AM for a fee. Featured amenities include multilingual staff, luggage storage, and coffee/tea in a common area. A shuttle from the airport to the hotel is provided for a surcharge (available 24 hours), and free self parking is available onsite.